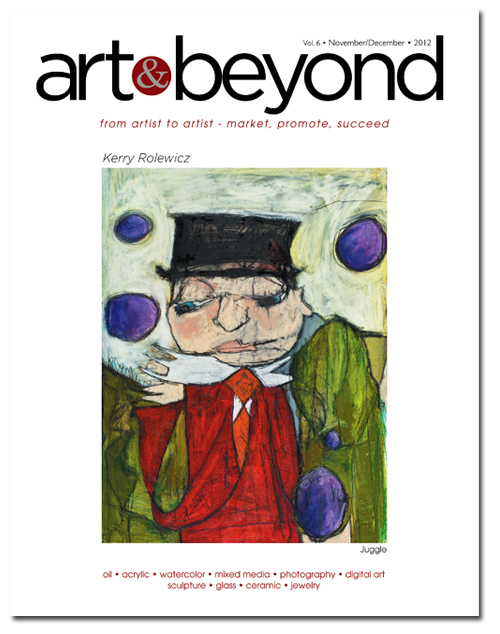 Art & Beyond Publications is proud to announce that November/December Online issue is published and is open for public view. 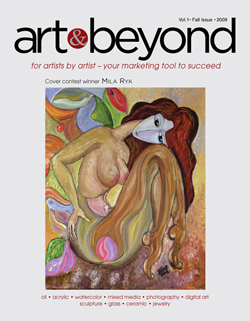 To purchase printed version of this magazine please click here. 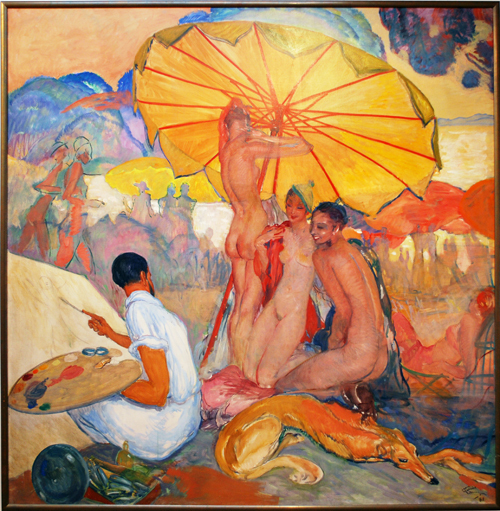 Jean-Gabriel Domergue exhibition in the Musée du Montparnasse. An extremely talented and precocious painter, Domergue exhibited works at the Salon Des Artistes Français (the French Artists Exhibition) in 1906 at the young age of seventeen. In 1913, he was awarded the Second Prize of Rome and went on to win the gold medal award in the 1920 show. He then began showing outside the exhibition. Having first been recognized for his landscapes which he painted with great ease, his career took a decisive turn during the 1920’s. At this time he became the painter of the “Parisian lady”. 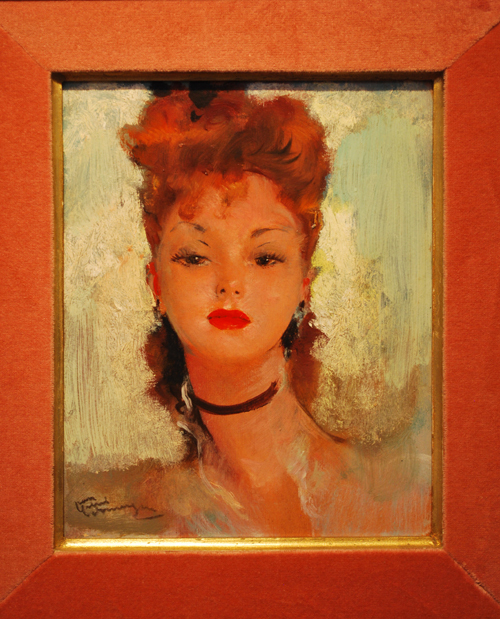 Domergue invented a new type of woman : thin, airy, elegant, with a swanlike neck and wide seductive eyes which gaze upon the world with longing. “I invented the pin-up” he later claimed. Even though Domergue painted numerous nudes using fashionable actresses or young dancers as his models, he was nevertheless, highly prized in the aristocratic and high society circles painting individuals such as Liane de Pougy or Nadine, the future Baroness of Rothschild. 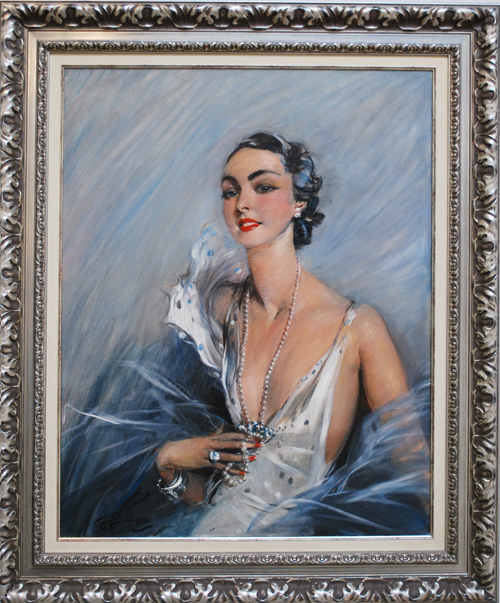 Domergue was also one the main organizers for famous Parisian gala events such as « The Venetian Ball » at the Opera in 1922 and other events using the Second Empire as its theme in Paris and also Cannes, Monte-Carlo, Juan-les-Pins, Biarritz and of course, Deauville. Quite influential, he played an essential role in the evolution of fashion in his era. He designed numerous dresses, hats and accessories for famous couturier such as Paul Poiret and Henry Marque. 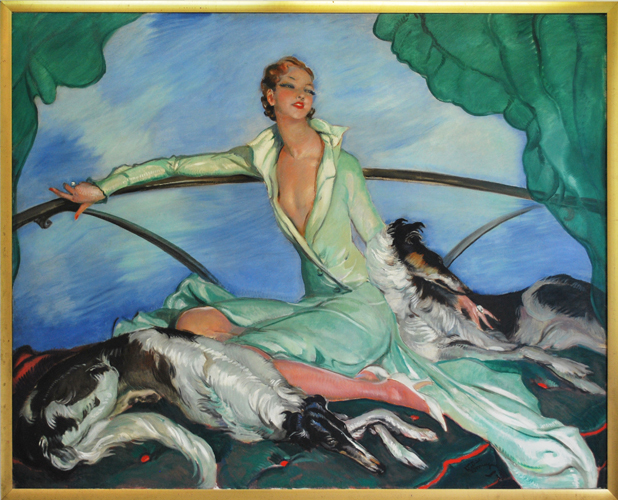 Even though 1920 remains the turning point in Domergue’s career towards feminine portrayals, his style developed all throughout his artistic career. His quasi-definitive form appeared at the beginning of the 1930’s. 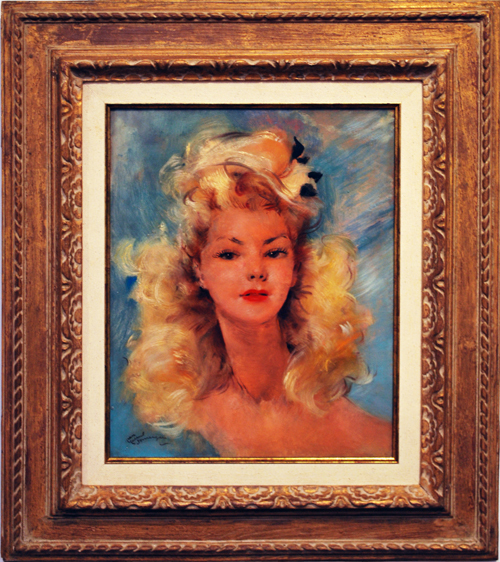 From this time on Domergue was at the peak of his career; his paintings were no longer dated even though often titled on the back (oil canvasses or hardboards) and sometimes numbered. Having knowledge of this perfected style and trend allows the trained eye to accurately date his works of art. Domergue had a talent for highlighting the fickle and dazzling side of a beautiful woman that one likes to imagine. 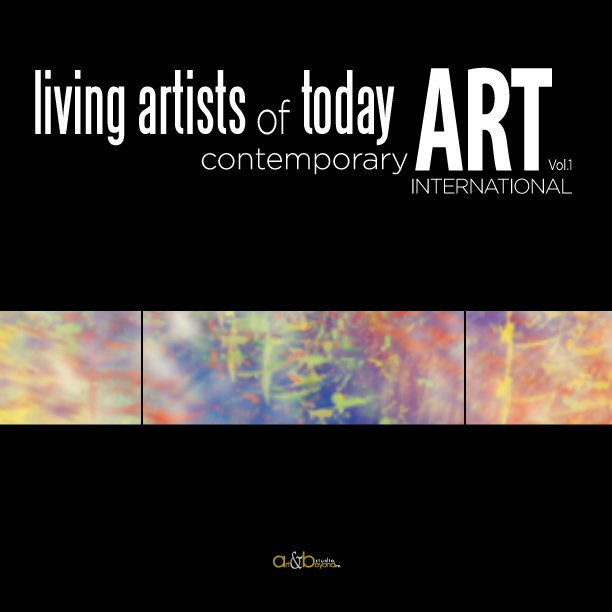 His elegant mastery of the paintbrush places him in the tradition of artists such as Fragonnard and Watteau who in the 18th century helped establish the canons of beauty of their epoch. His classical training combined with an aura of fantasy make Domergue’s portraits unlike any others. 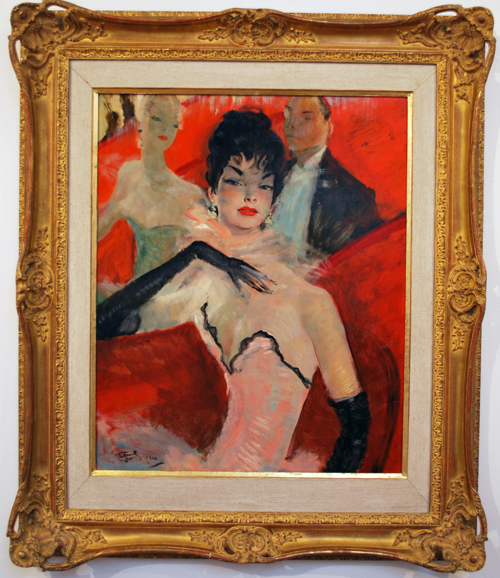 Domergue changed the way women were portrayed, breaking the traditional melancholic and vaporish poses. One side of Jean-Gabriel Domergue’s life is not as well-known ; he was Curator of the Jacquemart-André Museum in Paris starting from 1955. Under his leadership, extraordinary exhibitions were organized. Most notably were his tributes to Léonard de Vinci, Seurat, Prud’Hon, Toulouse-Lautrec, Van Gogh, Berthe Morisot and Francisco Goya. Furthermore, it was during his organization for the exhibit in honour of his own master, Giovanni Boldini, that he passed away in 1962. Domergue was made Knight of the Legion of Honour and Fellow of the Academy of Fine Arts. (The villa Fiesole, former property of the Domergue family, bequeathed to the city of Cannes in 1973 by Odette Domergue).